ICS smartphone features a 3.2 mp camera and 800 MHz CPU; expected to release in the second week of September. After being announced in June, the Xperia tipo has now surfaced on online store Flipkart.com. This is the Japanese manufacturer's first entry-level handset to feature Android 4.0 (Ice Cream Sandwich) out of the box. 800 MHz Qualcomm Snapdragon CPU, 512 MB of RAM. Quad-band GSM (850, 900, 1800, 1900 MHz), dual-band 3G (900, 2100 MHz). 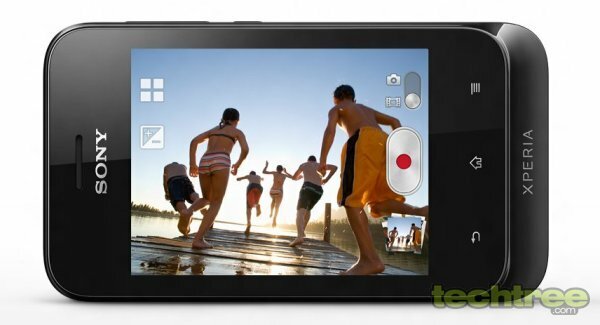 3.2 mp camera with 4x digital zoom and VGA (480p) video recording. 3.2" scratch-resistant, shatter-proof, 2-point multi-touch screen with 320x480 pixels and 262k colours. Bluetooth 2.1, Wi-Fi with hotspot support, Assisted GPS, Micro-USB 2.0. FM radio with RDS, 3.5 mm jack. 3 GB of internal storage (2.5 GB user-accessible), 32 GB microSD card slot. 1500 mAh battery, 5 hours talk time (4.5 hours for 3G), 470 hours standby time (545 hours for 3G), 30 hours of music playback, 3 hours of video playback. 3.4" (l) x 2.2" (w) x 0.4" (13 mm) (d), 100 grammes. Supported audio formats: MP3, MP4, SMF, WAV, 3GP, OGG, OTA. Supported video formats: 3GP, MP4. Available colours: Classic Black, Classic White, Deep Red, Navy Blue. The handset is priced at a pre-order rate of Rs 9500, with delivery promised from the second week of September onwards. It will be interesting to see how it fares against HTC's entry-level ICS phone, the Desire C — especially since the former has better specs and is at least Rs 2000 cheaper. For more product shots, check out the gallery below.